The Scanlon Foundation and Welcome to Australia have today launched a new national initiative to assist governments, businesses and individuals to work together to create more inclusive communities. Welcoming Cities, delivered in partnership with US not-for-profit Welcoming America, will foster meaningful collaboration between Australian local governments, and implement evidenced-based approaches to increasing a sense of belonging and participation for all, both in communities and on a national scale. The initiative is informed by the success of the Welcoming America model developed by US social entrepreneur, David Lubell in 2009 – a concept recognised by the United Nations Alliance of Civilizations and BMW Group as one of five recipients worldwide of the Intercultural Innovation Award in 2014, and which led to Mr Lubell being named a Young Global Leader at the 2015 World Economic Forum. To help launch Welcoming Cities, Founder and Executive Director of Welcoming America, David Lubell, is in Australia this week. As part of his visit, Mr Lubell will deliver the keynote address at the Welcoming Cities Symposium event in Melbourne, and meet with government representatives in Victoria, New South Wales and Queensland. Mr. Lubell is looking forward to supporting the work of Welcoming Cities as Australian communities join the global welcoming movement. “Initiatives like Welcoming Cities help communities recognise the important ways that immigrants and refugees make them stronger economically, socially and culturally, and that welcoming is not just the right thing to do, it’s also the smart thing to do,” Mr Lubell said. By 2050, Australia’s population is projected to have reached 38 million, with net overseas migration a key contributing factor in that growth. Additionally, migration will have contributed 1.6 trillion dollars to Australia’s GDP. Scanlon Foundation CEO, Anthea Hancocks, said Welcoming Cities is an important new initiative, given our changing social landscape. “Welcoming Cities will assist local governments to be more effectively resourced, networked and genuinely connected with on-the-ground community development activities,” Ms Hancocks said. Founder of Welcome to Australia, Brad Chilcott, said local government associations have a wealth of knowledge when it comes to welcoming new Australians into their communities. “Welcoming Cities will facilitate collaboration and knowledge-sharing, and highlight the many benefits that come with offering a new home to new neighbours,” Mr Chilcott said. Manager of Welcoming Cities, Aleem Ali, is excited to be leading the new program in Australia. 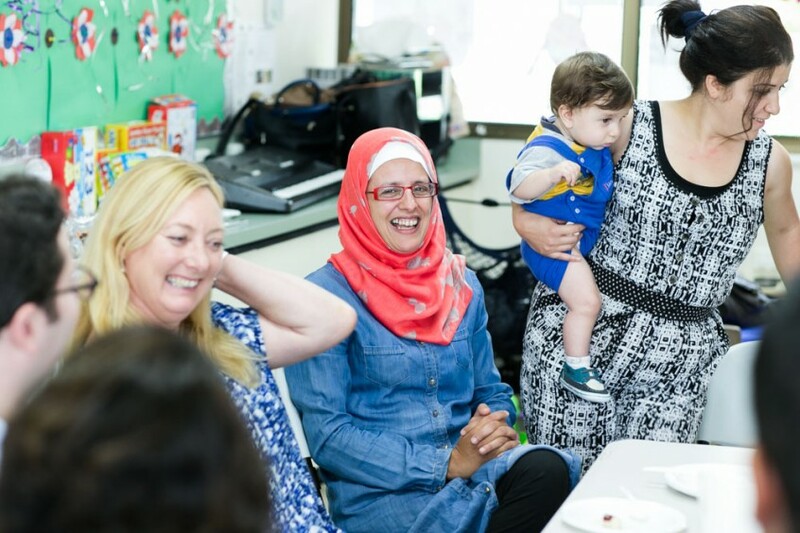 “This initiative will showcase the great work being done by many communities across Australia, and bring a national and international standard to what it means to be a Welcoming City,” Mr Ali said. The Welcoming Cities initiative will be officially launched by Melbourne Lord Mayor, Robert Doyle, at the Welcoming Cities Symposium in Melbourne on Wednesday 9 March. The Symposium will also feature special guests David Lubell and The Hon. Robin Scott MP, Victorian Minister for Multicultural Affairs, and will bring together local, state and federal government representatives, along with key stakeholders essential to the transition of migrants at the local level.